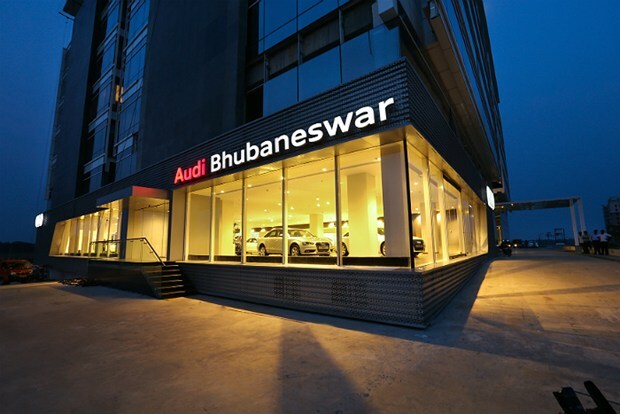 Audi India has opened up a new showroom in Bhubaneshwar, Orissa, taking their toll to 26th showroom in the country. At the opening ceremony, former Miss Universe and Bollywood actor, Lara Dutta was present. The showroom is spread over 11,500 square feet, making it the largest luxury car showroom in Orissa. Just like other new dealerships Audi India has been opening, this one too features honeycomb aluminum facade on the exterior. Inside, there is a space to accommodate 14 cars. Audi Bhubaneswar will display the entire range of Audi India cars. 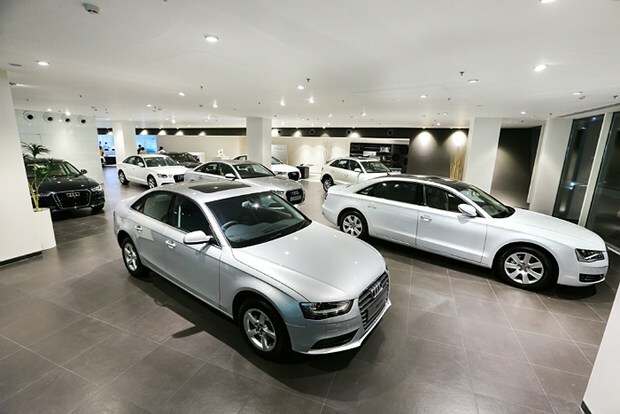 Audi Bhubaneswar is at par with the showrooms we have in Munich and London in regards of standards, quality and site. The brand has set very high standards in service quality and customer care in the country. By the end of 2013, we will have at least 34 dealers pan-India, with plans for new dealerships in markets like Vadodara and Noida among others. Therefore, is important for us to be present wherever our customer is". Audi Bhubaneswar will also manage the exclusive Audi service facility in the next 5 months, which would be located behind the showroom on NH-5, Cuttack – Bhubaneswar Highway, Orissa. This facility would be spread over an area of 14,500 square feet and will have a capacity to service 15 cars per day in a single shift on a total of 09 bays along with body shop and paint shop. The technicians at the facility are trained to ensure world-class services to the customers. Lara dutta looks so pretty with Audi, after so much time I have seen her in this way. By the way Audi will lead indian luxury market with the help of this one more new showroom in india at Orissa. It is also mentioned that audi india will launch 8 more showrooms by the end of this year. Its quite amazing, isn't it ?